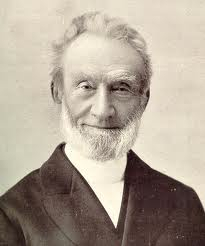 George Mueller, born into a German tax collector’s family, was often in trouble. He learned at an early age to steal and gamble and drink. As a teenager he learned how to he learned how to stay in expensive hotels, then sneak out without paying the bill. But at length he was caught and jailed. Prison did him little good, for upon release he continued his crime spree until, on a Saturday night in 1825, he met Jesus Christ. 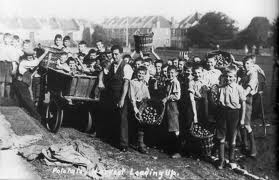 Mueller married and settled down in Bristol, England, growing daily in faith and developing a burden for the homeless children running wild and ragged through the streets. At a public meeting in Bristol on December 9, 1835, he presented a plan for an orphanage. Several contributions came in. Mueller rented Number 6 Wilson Street, and on April 11, 1836 the doors of the orphanage opened. Twenty-six children were immediately taken in. A second house opened, then a third. From the beginning Mueller refused to ask for funds or even speak of his ministries financial needs. He believed in praying earnestly and trusting the Lord to provide. And the Lord did provide, though sometimes at the last moment. The best known story involves a morning when the plates and bowls and cups were set on the tables, but there was no food or milk. The children sat waiting for breakfast while Mueller led in prayer for their daily bread. A knock at the door sounded. It was the baker. “Mr. Mueller,” he said, “I couldn’t sleep last night. Somehow I felt you didn’t have bread for breakfast, so I got up at 2 a.m. and baked some fresh bread.” A second knock sounded. The milkman had broken down right in front of the orphanage, and he wanted to give the children his milk so could empty his wagon and repair it. Such stories became the norm for Mueller’s work. During the course of his 93 years, Mueller housed more than 10,000 orphans, “prayed in” millions of dollars, traveled to scores of countries preaching the gospel, and recorded 50,000 answers to prayer in his journals. * Robert J. Morgan is the pastor of Donelson Fellowship in Nashville, Tennessee and the author of the best selling Then Sings My Soul, From This Verse, , and Red Sea Rules. He conducts Bible conferences, parenting and marriage retreats, and leadership seminars across the country. This article was adapted from the April 11 entry in his book On This Day, Nashville: Thomas Nelson, 1997. 626: Hilde of Whitby was baptized. She was one of England’s most influential women of the Middle Ages. She founded the Whitby Monastery, discovered the early English poet Caedmon and trained five bishops. 1567: Thomas Aquinas was elevated to the status of “doctor of the church.” He was arguably the greatest Christian Philosopher of the Middle Ages. 1836: George Muller opened his first orphanage in Bristol, England. He took in twenty-six waifs. Forty years later, his orphanages housed 2,000 children. Their needs were not met by public appeals, but through private prayer – Amazing! 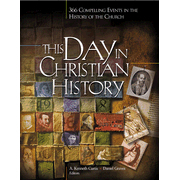 *Adapted from This Day In Christian History, edited by A Kenneth Curtis and Daniel Graves, Camp Hill, PA: Christian Publications.